Extraordinarily talented in the art of contact juggling, these strolling performers effortlessly manipulate crystal balls that glide, float, dance and levitate surreally around their hands, arms and bodies. 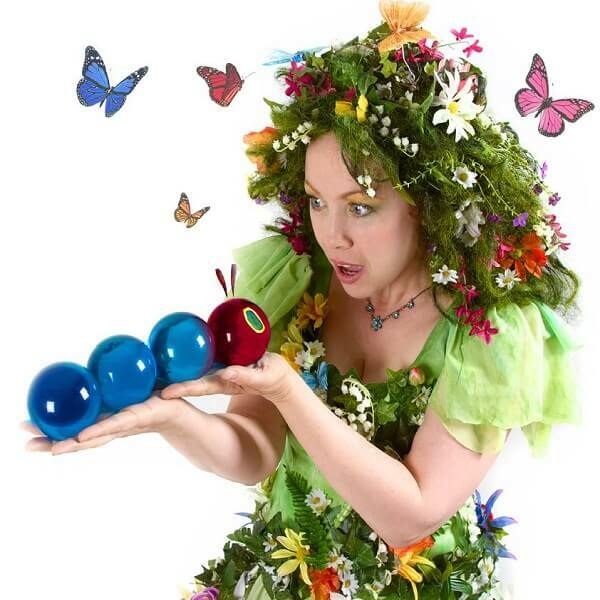 Stunning, spine-tingling, elegant and serene, these Contact Jugglers can appear as either ground level crystal ball jugglers or stilt characters - or both - in the same booking. We also have many themed characters some of which are explained below. 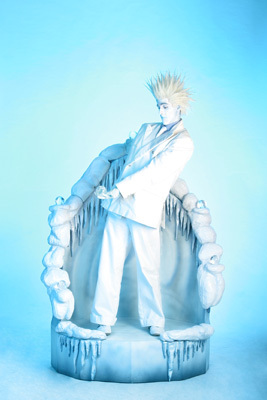 Ice Ages are superb 7ft tall characters who will tower above their audience making them much more visible from a distance. 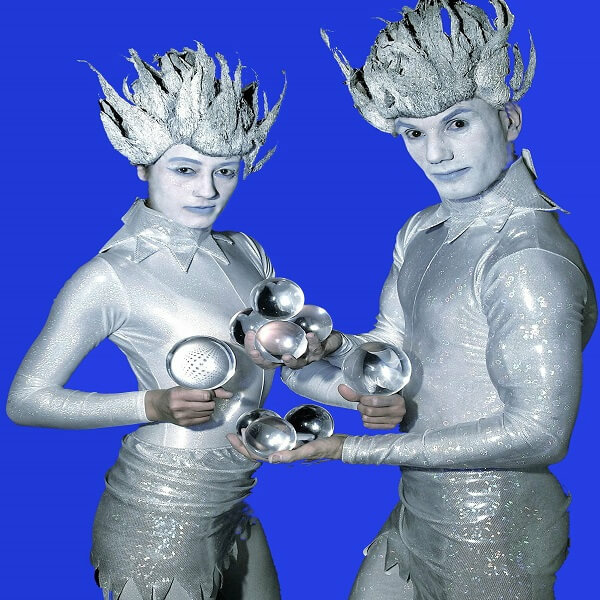 Superb ice costumes, mesmerising ice crystal ball manipulation, slow motion movement and an amiable interactive style. Also available with their own ambient music from body belts if required. 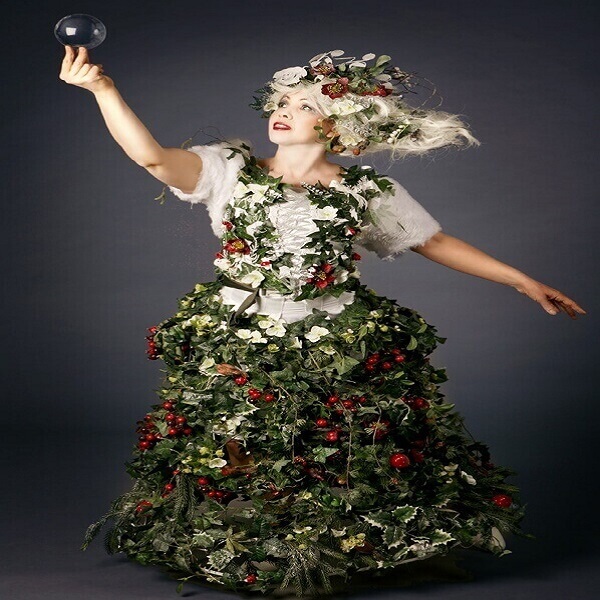 Step into a realm of magic and beauty as Lady Kay charms your guests with her skilful and mesmeric crystal ball manipulation. Gracefully gliding and dancing over her hands, arms and body, the crystal balls appear to defy gravity, creating a spectacular optical illusion. Starting with one ball, she keeps the audience enthralled as she gradually manipulates up to 4 balls which move effortlessly around her body. It is a guaranteed success for any kind of event that requires mix and mingle entertainment, meet and greet, table entertainment or a stage act. This act will stop you in your tracks and you will stay with her and share a mesmerising moment; a moment in which you’ll wake up to the magic of the now and reconnect to the natural world. If you want entertainment that is easy to programme, with no complicated setup but is of the highest artistic quality then this is the entertainment choice for you. 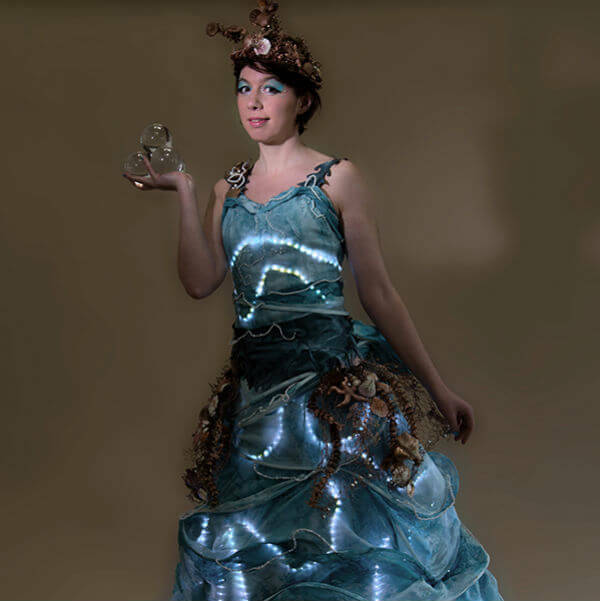 The Human Flower will engage and enchant a large crowd in seconds. This highly crafted act slots perfectly into a bigger bill works really well in lots of different situations and require no staging. His contact juggling skills have to be seen to be believed, with up to seven balls being deftly manipulated in fluid motion around his body. 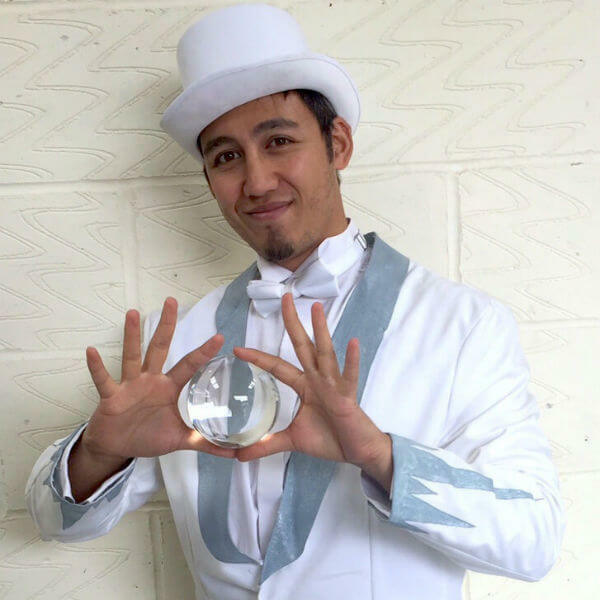 The Si-Sta is truly magic as his crystal ball manipulation amazes guests. Watch as the balls float, levitate and dances around him. A combination of skill, precision, timing and movement working together to create the illusion that the ball is gliding and floating, as if defying gravity.